Italian Tenor Enrico Caruso once said,” Watermelon- It’s a good fruit. 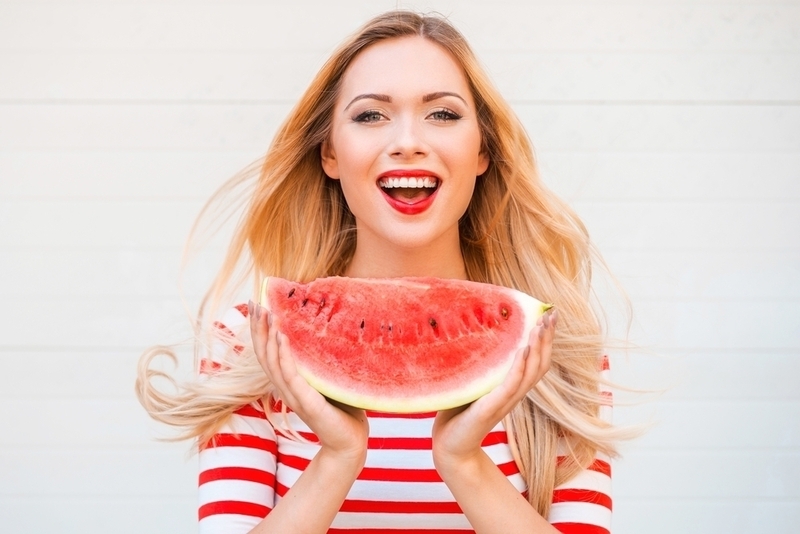 You eat, you drink, you wash your face.” Any of us that has stuck his or her face into a huge hunk of watermelon will realize the truth of this statement. Indeed, watermelon is a very versatile fruit and, while it is up for debate how well watermelon functions as a facial wash, it definitely provides quenches our thirst and satiates our hunger at the same time. The importance of hydration is undeniable. Water keeps our bodies functioning properly, and aids in digestion, elimination and physical performance and we are often reminded of the daily goal of eight glasses a day. But while drinking water is not without its benefits, eating it may be even better. Says Dr. Howard Murad, associate clinic professor of medicine at the University of California, “There’s nothing wrong with drinking water, but if we don’t improve the capacity to get it into our cells and keep it there, it goes straight down the toilet without doing us any good.” He argues that the water you eat is different because it is attached to other molecules which help it to enter cells more easily and stay there for a long enough amount of time to be of use. So, what foods can we eat and drink? Caruso didn’t pick this one for no good reason. Although watermelon contains 92% water, it’s the salt, magnesium, and calcium content of this fruit that make it perfect for rehydrating. It’s also a great source of vitamins A and C.
Not just for dipping! Celery sticks are comprised of about 95% water and are high in fiber, vitamin K and potassium. Says Dr. Rachel Berman, registered dietitian, “they’re no packed with nutrients, but that’s also because they’re not calorie dense.” So, you can keep your mouth busy all day for a low calorie fix! Always a beautiful addition to a salad or dessert, strawberries are the wateriest of all berries weighing in at a whopping 92% water and are also packed with Vitamin C and water. Fans of the movie “Spinal Tap” will remember this vegetable as responsible for setting off the metal detector at an airport when bassist, Derek Smalls, stuffed a foil wrapped one in his pants. Indeed, cucumbers have a plethora of uses. But whether, you eat them, use them on your skin, or shove them down your trousers, they are made up of 96% water, have no cholesterol or fat and are high in iron, vitamin K and vitamin B6. 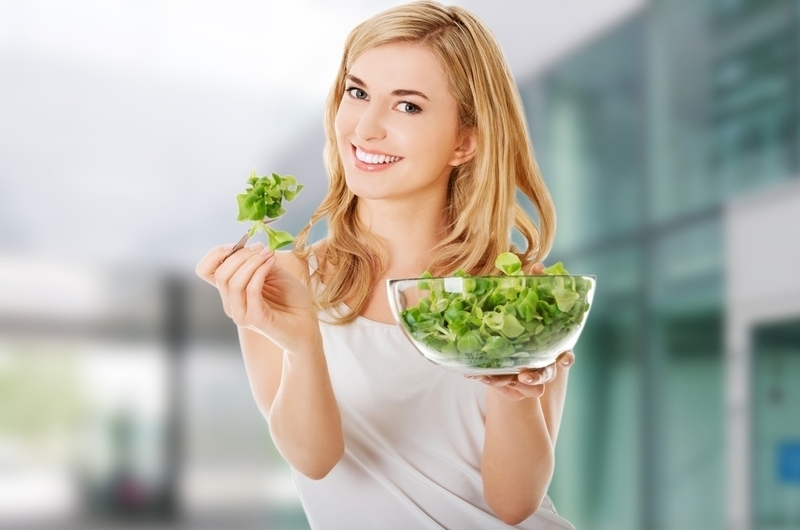 Although ice berg lettuce claims a 96% water content, it is not the nutritional champ of the green and leafy veggies. Spinach, butter head and romaine lettuces are a little more heavy weight when it comes to packing a nutritional punch. In closing, according to Berman, eight glasses is only part of the picture, She recommends 11 cups for women and 15 for men, but, keep in mind, 20% of that should come from food. So start eating your water and let us know how you get your daily water allowance every day. We love to get your input!